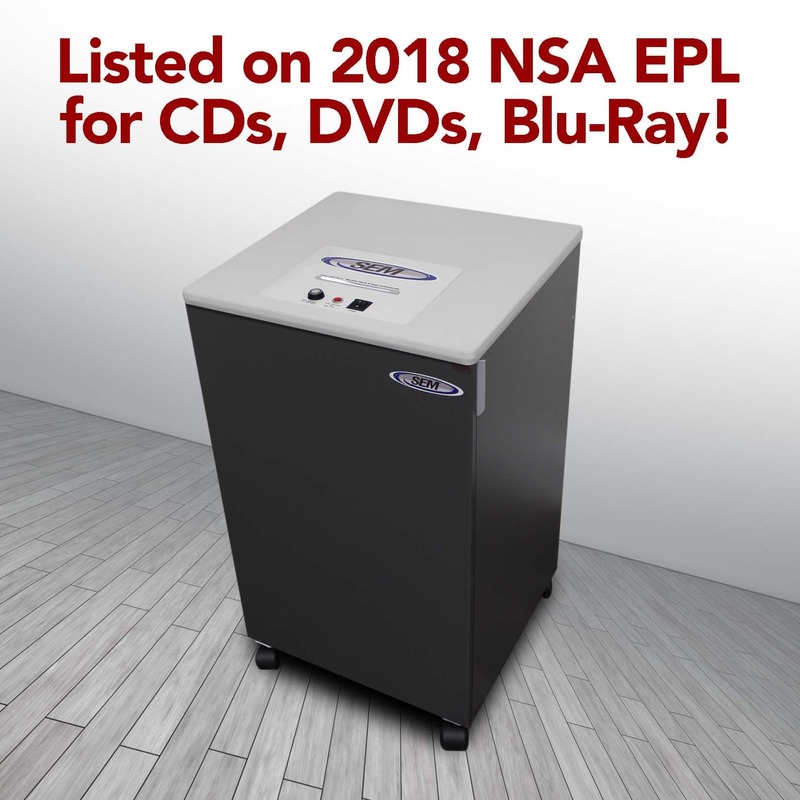 Do you have a Shredder or Disintegrator approved by the NSA to destroy Blu-ray Disks? The short answer is “no.” The only acceptable solution at this time is incineration. Here’s why; data is more densely packed on a Blu-ray disk than it is on a CD or DVD. As of this date, the National Security Agency has not established an acceptable shred size standard for Blu-ray disks and just when some thought this storage technology had run its course, it has found a niche that may keep it around for many years. Consider the following. The typical CD can hold 700 megabytes of data and a DVD can hold 4.7 gigabytes. Current Blu-ray disks can hold 25-50 gigabytes of data. With Blu-ray technology increasing the data density by a factor of 5-10, these disks will have to be shredded to a much smaller particle to effectively eliminate the information in accordance with NSA guidelines. The NSA is currently working with a major university to explore the particle size question. The university has researched the issues and provided feedback, but several questions need to be answered before a particle standard can be finalized. Are there any current machines on the market that will shred in the size range recommended? If not, do we have the resources to set the standard and start a new round of testing? How long will it take to get a reasonable number of models available to fulfill our customer’s needs? And the toughest question is how long will this particle size protect us into the future as this technology changes? The answer to the last question may have become more difficult because Blu-ray has found a new niche. New Blu-ray disks can now hold as much as 100 gigabytes of data with plans to expand them to 300 gigabytes. Technology leader Facebook has started to use Blu-ray in its data centers for cold storage. Cold storage is for old data that is infrequently accessed, but needs to be preserved. Along with this, Sony is offering a system called Everspan that can store 181 petabytes (181 million gigabytes) of data using 64 optical drives. If companies like Facebook or Google find it cost effective to use Blu-ray in their data centers, how long can it be before our government community does the same? So this question is not going away. Rest assured that if we hear anything about a new standard or get any equipment approved, it will be posted on our website. Find out more about shredding and disintegrationor contact us.